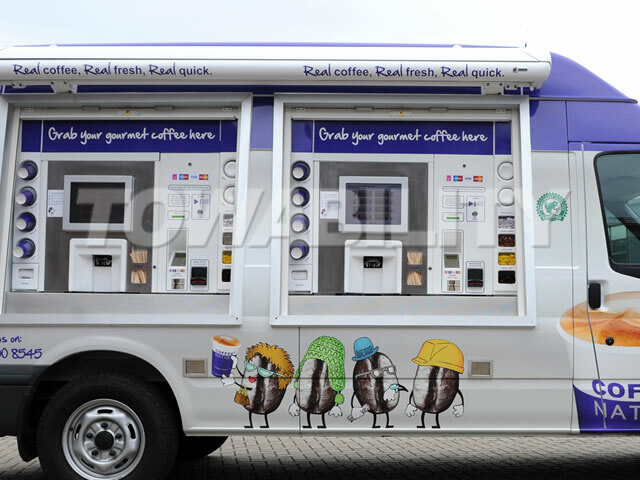 Unit: Ford Transit LWB Coffee catering trailer. 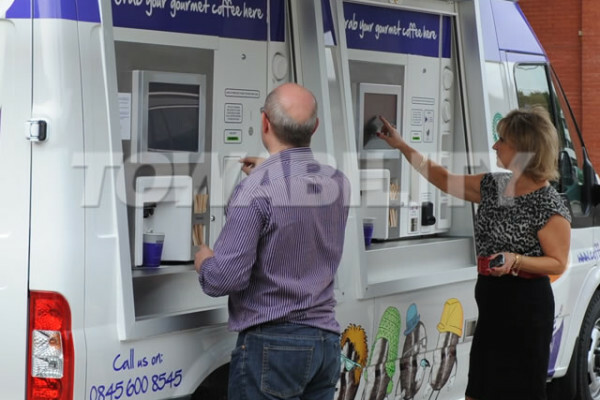 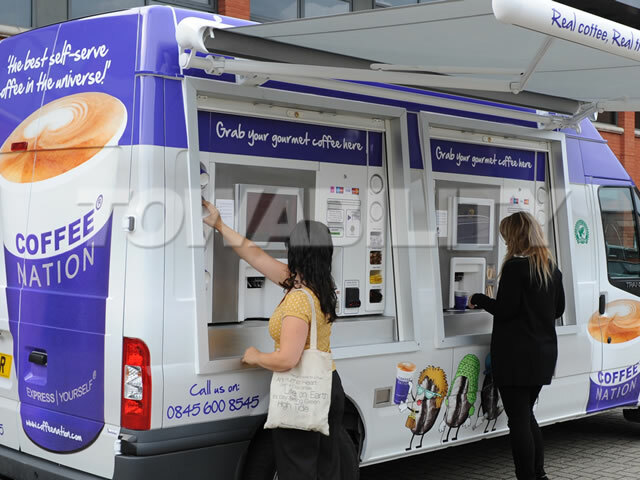 Fittings: State of the art touch screen gourmet coffee vending van with credit card and coin payment system. 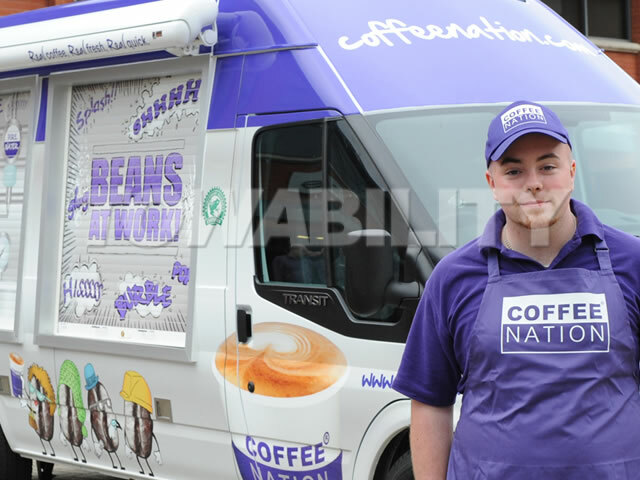 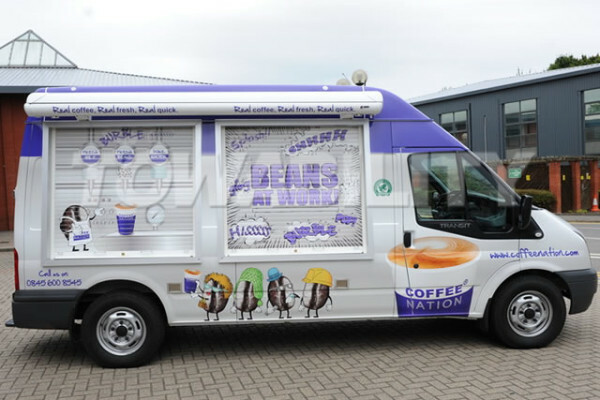 The second week of August will see the launch of Coffee Nation’s first mobile vehicle. 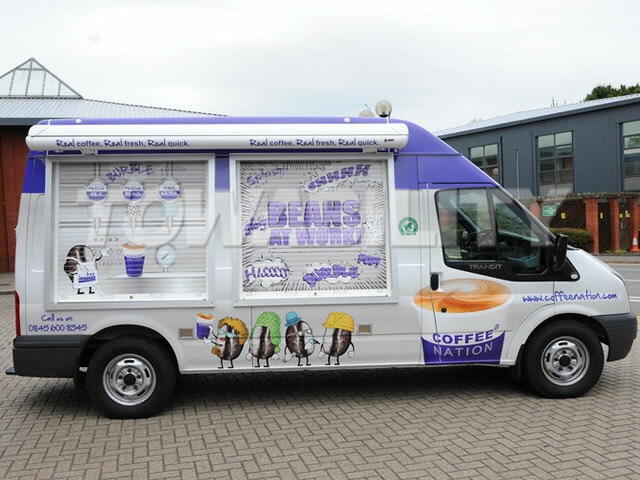 This is a very large Ford Transit van, which has been modified to allow two Express Slim Vend machines to be displayed in windows on the side of the van.The van will be fully wrapped with creative graphics to appeal to our consumers. 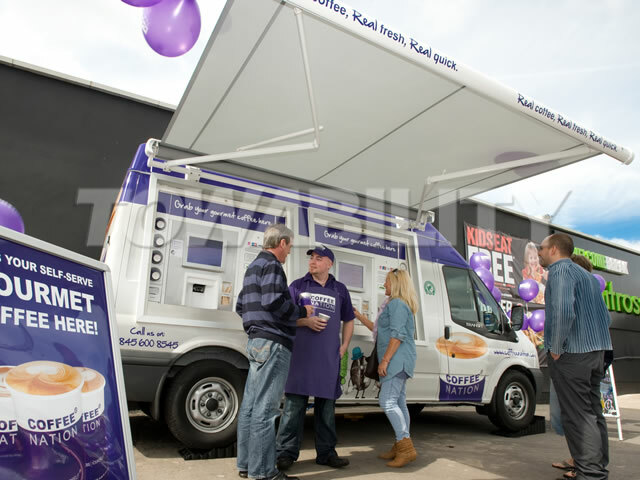 Our van will make its debut at Gordano Services in August where it will provide extra capacity for the motorway service area in Bristol. 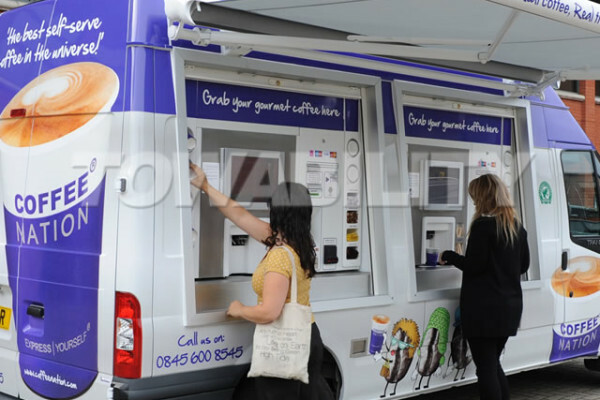 It will then move on to a number of universities during Freshers Week where it will help promote the location of our machines on these sites. 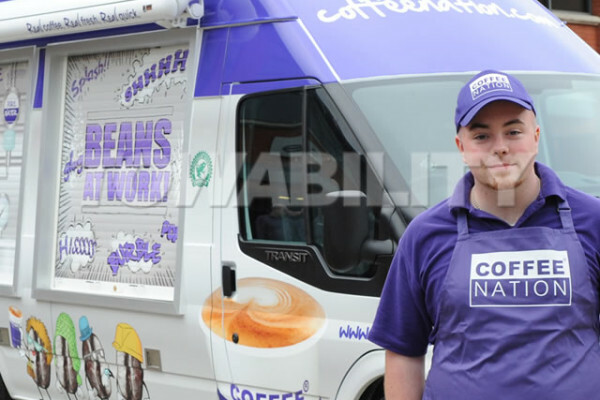 After this, the world is its oyster! 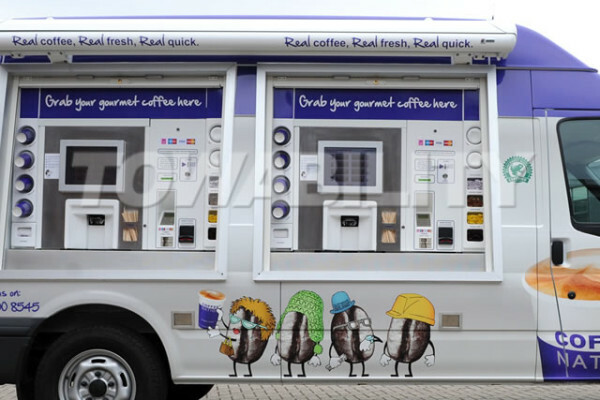 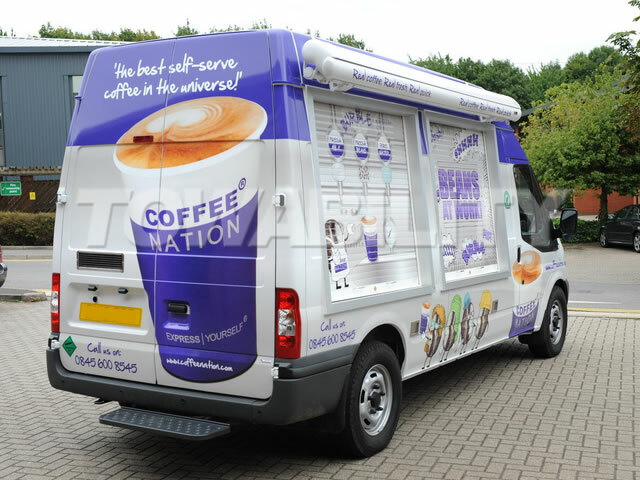 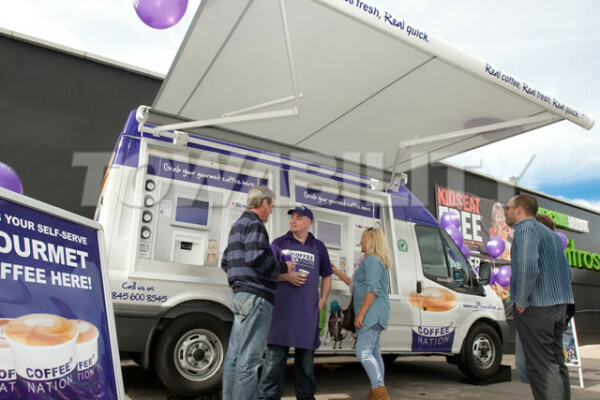 Towability are delighted to announce a new coffee van conversion created for Coffee Nation. 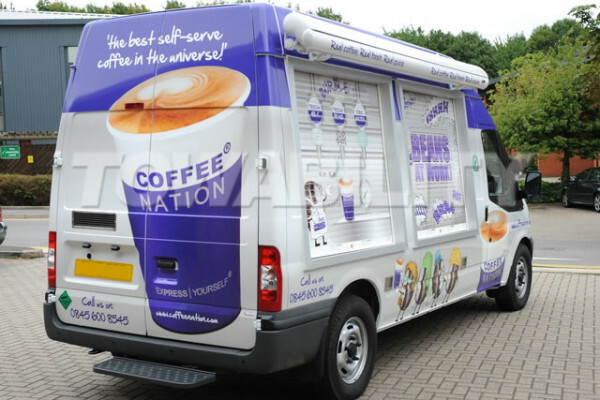 Coffee Nation has utilised state of the art touch screen technology with credit card and coin payment system integrated by us into a mobile coffee vending van.